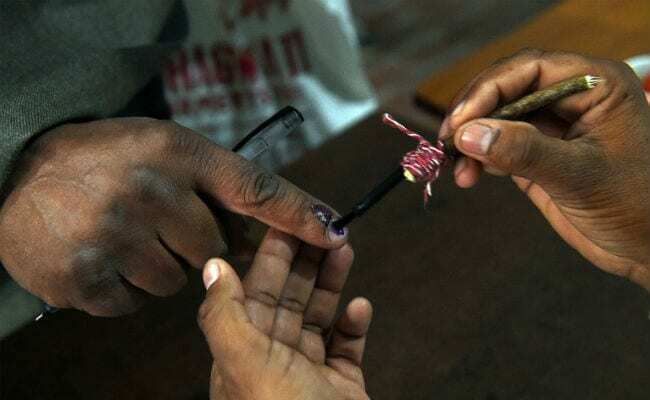 Lok Sabha Elections 2019: Out of 2,010 polling stations in Cooch Behar, around 700 'critical" ones were guarded by central forces. The remaining 1,310 polling stations were manned by state armed police. Delegations of Left parties, the Congress and the BJP approached the Election Commission on Thursday with complaints of violence and demanding re-polling. A Left Front delegation led by Communist Party of India-Marxist state secretariat member Rabin Deb called on Chief Electoral Officer Aariz Aftab, after Cooch Behar's All India Forward Bloc candidate Gobinda Rai was attacked in Mathabhanga's booth number 238, and his car vandalised. The LF leaders demanded punishment for the culprits. "We also demand that wherever the poll was conducted with state armed police in Cooch Behar, we demand a re-poll. There were as many as 170 booths where there were disturbances," AIFB state committee Secretary Naren Chatterjee told reporters. Mr Deb also raised concerns regarding upcoming festivals of Ramnavami, 'Poila Boishak' and Ramzan, saying the Election Commission must ensure peace and that voters are not intimidated. They also demanded "steps be taken for peaceful, free and fair polls in upcoming phases". A BJP delegation led by its state Vice President Jay Prakash Majumdar sought re-polling in a large number of polling stations. He also urged the people to "cast their vote themselves and make their own choice" as the BJP believes in fair polls unlike the ruling Trinamool Congress.